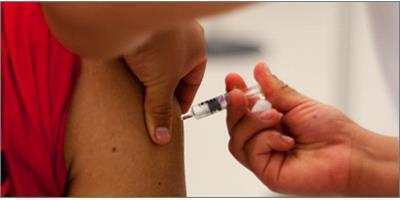 There’s a lot of confusing information floating around out there this time of year with regard to the influenza vaccination. Does the flu shot make you sick? Can pregnant women receive the flu shot? At what age should I take my kids to be vaccinated? We know you have some of these questions (and more), so we did our homework and got the answers to these and other important very questions about the flu vaccine. At what age should I start vaccinating my children? If you have a little one over the age of six months, you can get them vaccinated. Remember that babes aged 6 to 23 months are extra vulnerable to the dangers of the flu and can get quite ill if they happen to contract the virus. Why should I get the flu shot myself? If your child is too young to be vaccinated then you should definitely be getting the vaccination — so that it can protect you both. But, even if your child can be vaccinated, you should still get the vaccine since you may be exposed to the virus elsewhere. Should I buy a prescription or over-the-counter medication to treat flu symptoms that my child has? Be wary of prescription drugs for treating and preventing the flu; they haven’t been approved for tykes under one year. Also, it is not advisable to give over-the-counter cough and cold medicines to children under the age of 6. What about using herbal remedies for kids for flu symptoms? Although natural health products may be great in certain circumstances, remember that they are not formally regulated. Is it too late to vaccinate if the flu season has already begun? It’s not too late! Between October and December is considered ideal, though you can get the shot as soon as it’s available at your nearest clinic or pharmacy. How long after the flu shot does it take until I’m protected? It takes about two weeks after receiving the immunization for your body to become fully protected against the virus. So give yourself ample time to get the shot before the winter season starts. 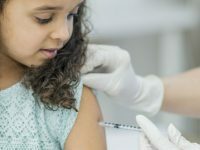 Are there vaccination alternatives so my child doesn’t have to get a needle? It’s no surprise that children aren’t big fans of the needle. That’s why there are kid-friendly alternatives like the nasal-administered flu vaccine. 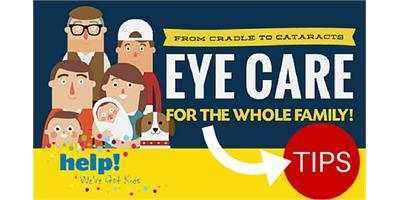 This spray is approved for use by people ages 2 to 49 years of age (and for those with a phobia of needles), but in most provinces, it’s only free for kids and youth ages 2–17. Anyone else must purchase a dose. What do I do if my child has previously had an adverse reaction to the flu vaccine? If you or anyone else in your family has had an adverse reaction to the immunization, make sure to talk to your doctor before getting vaccinated. I’m pregnant. Can I still get the flu shot? You don’t have to stay away from the flu shot if you are expecting but it is important to note that pregnant women in their second and third trimesters, and women that are six weeks past their delivery, are at a higher risk of developing more severe complications from influenza. Some pharmacies may refuse to vaccinate pregnant women (personal experience speaking, here!) so you might want to opt for a clinic or your doctor’s office. Can people get sick from the flu shot? You can’t get the flu from the flu shot. Those who do get the flu shortly after being vaccinated were likely already infected with the virus, which can take a couple of weeks to develop. The chances of a reaction to the flu shot itself—aside from a sore arm—are very slim, but you should always have a chat with your doctor about the benefits and risks of any immunizations for yourself or your little ones. As with all medical treatments, it’s up to you and your family to decide if the flu vaccine is best for you. Talk to your family medical practitioner and make an informed decision.